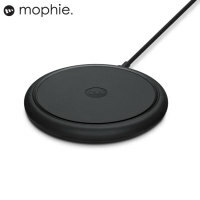 This sleek, super-quick and compact Qi wireless charging pad from Mophie is a great alternative to Apple AirPower. 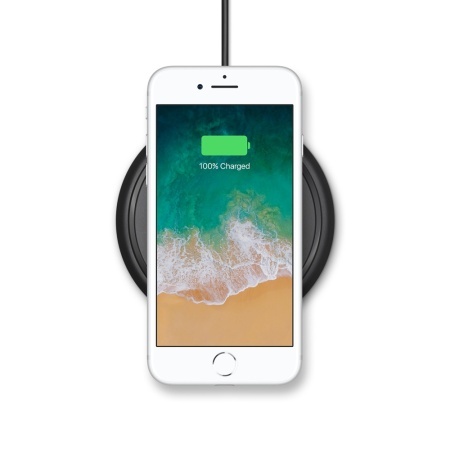 Simply place your wireless charging-compatible iPhone X, 8 or 8 Plus on the base and replenish your battery - no cables required. You just plug it in and it is ready to go. I just place my phone on the charger, a little green light appears (on the charger) and the phone starts to charge, easy! 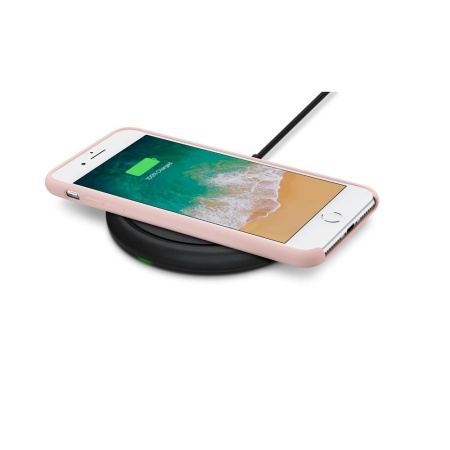 Take full advantage of the wireless charging capabilities of the iPhone X, iPhone 8 and iPhone 8 Plus with this lightweight wireless charging pad from Mophie. 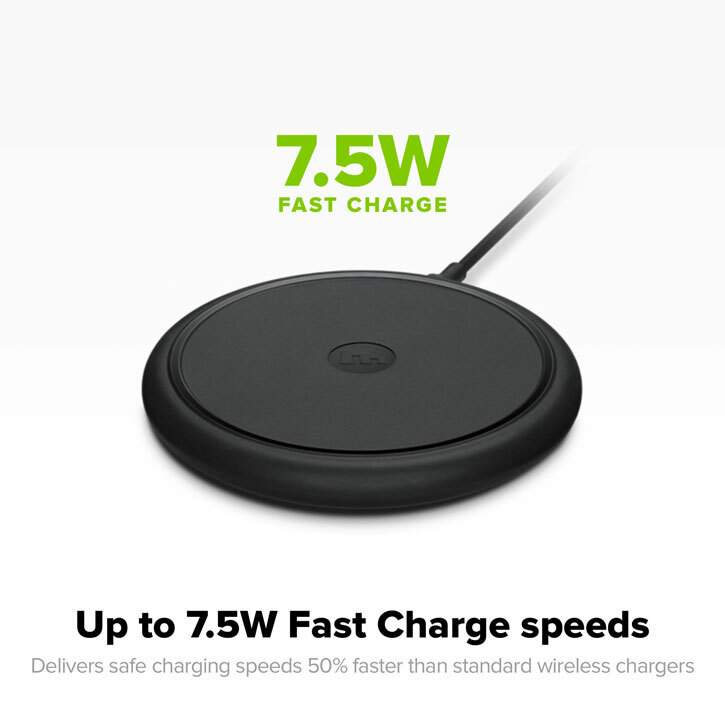 Easy to use and capable of delivering up to 7.5W of power, this pad lets you ditch the finicky cables and charge elegantly and quickly. 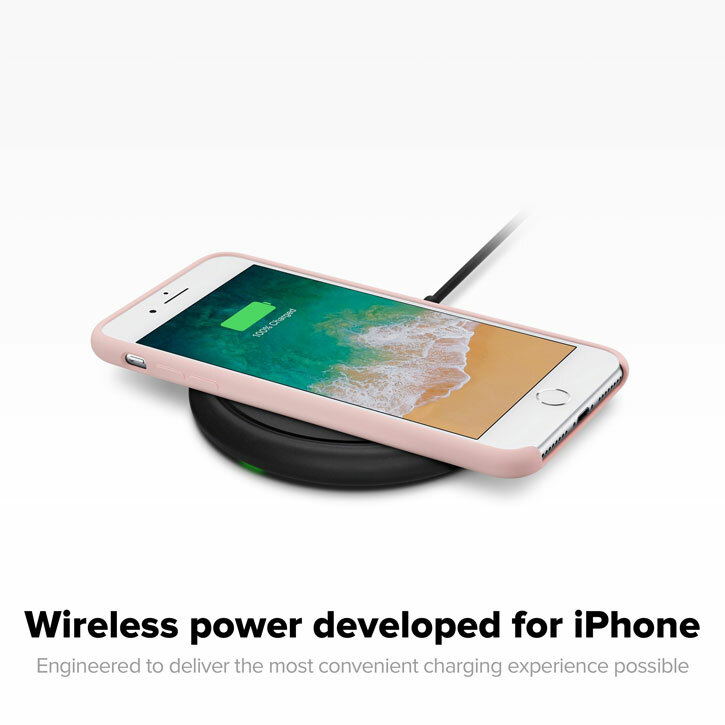 Apple's iPhone X, iPhone 8 and iPhone 8 Plus are fully compatible with fast charging, and so is this wireless pad. 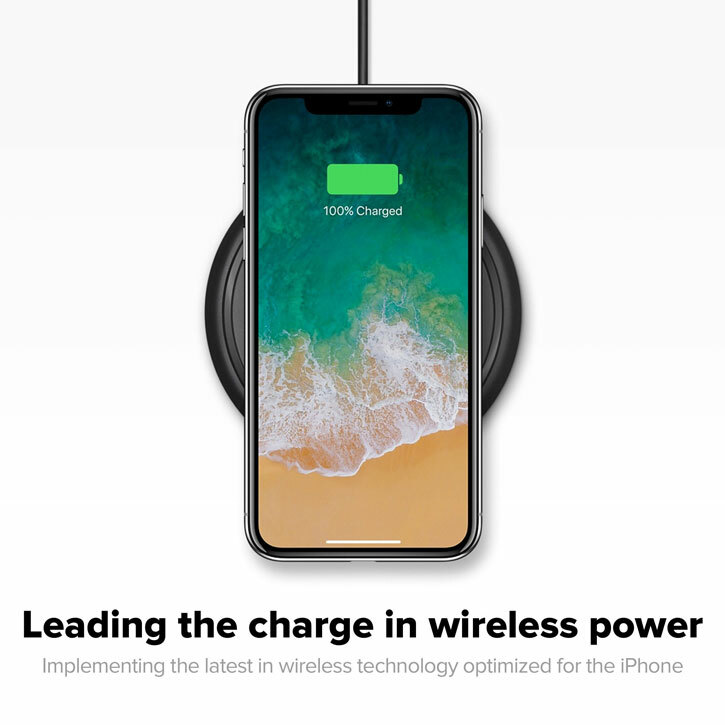 Enjoy more battery power in less time, allowing you to focus on the things that really matter rather than waiting around for your phone to recharge. Mophie's exacting production process involves optimising components and processes within the pad itself to ensure absolute optimisation for your iPhone. 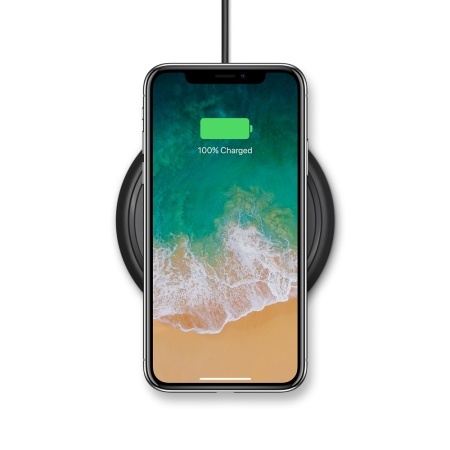 This means you can be sure that, at every stage of the charging process, the pad is working at maximum capacity to deliver power to your iPhone. 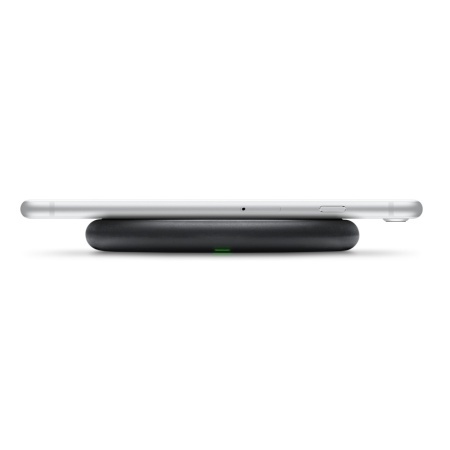 Perfect in any setting, this Mophie wireless pad sports a sleek, elegant minimalist build. 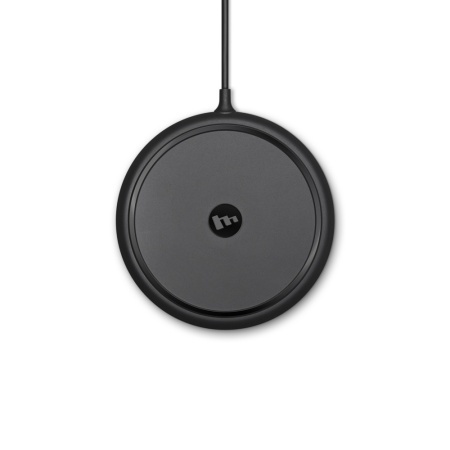 Combine this with an unobtrusive aesthetic and you have a pad that's sure to fit in, whether in your office, your bedroom, your kitchen or anywhere you need it. 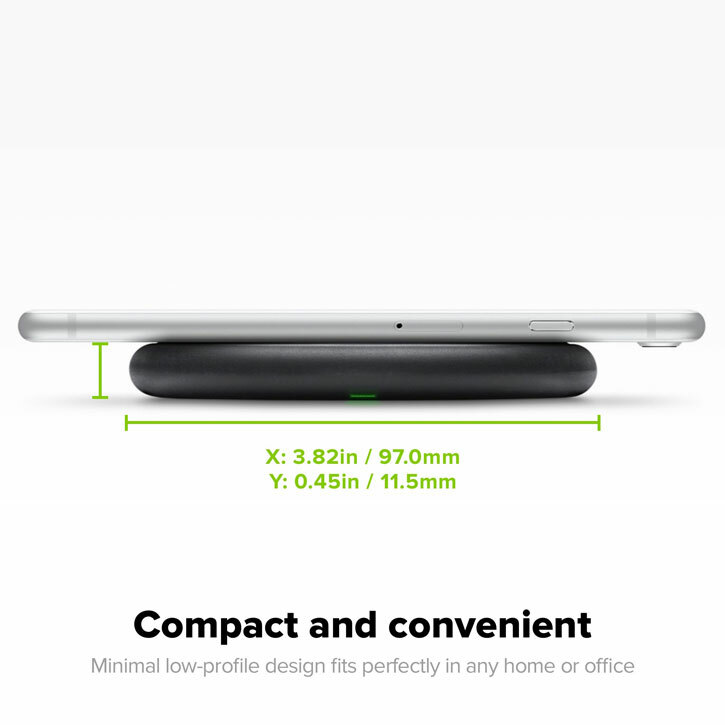 You'll never need to worry about your iPhone slipping or becoming misaligned while on this pad. Mophie has coated each wireless base with a special non-slip material, ensuring that your iPhone stays where it's placed. Additionally, an electroplated inner metal structure creates a stable platform that won't move around on any surface.